Become a Member of the Western Cuyahoga Audubon Legacy Society! View and print the new, Western Cuyahoga Audubon Gift Program Trifold. Create your sustaining gift for birds and habitat today. Left-right: Caleb Putnam, AGL Michigan bird Conservation Coordinator; Troy Peters, AGL Engagement Manager; Stephanie Beilke, AGL Conservation Science Associate; (behind) Nat Miller, AGL Director of Conservation; Justin Stokes, National Audubon Director of Legislative Affairs; Bill Heck, NAS Regional Director, Mississippi Flyway North; Brian Merlos, AGL Michigan Field Organizer; Brooke Bateman, Director of Climate Watch. Photo by Constance Rubin. Audubon’s new Great Lakes Initiative grew out of national’s 2016-2020 Strategic Plan and includes a Regional Office and staff in the Chicago area. The Audubon Great Lakes meeting November 2017, focused on building chapter capacities for (1) policy advocacy and (2) conservation projects. 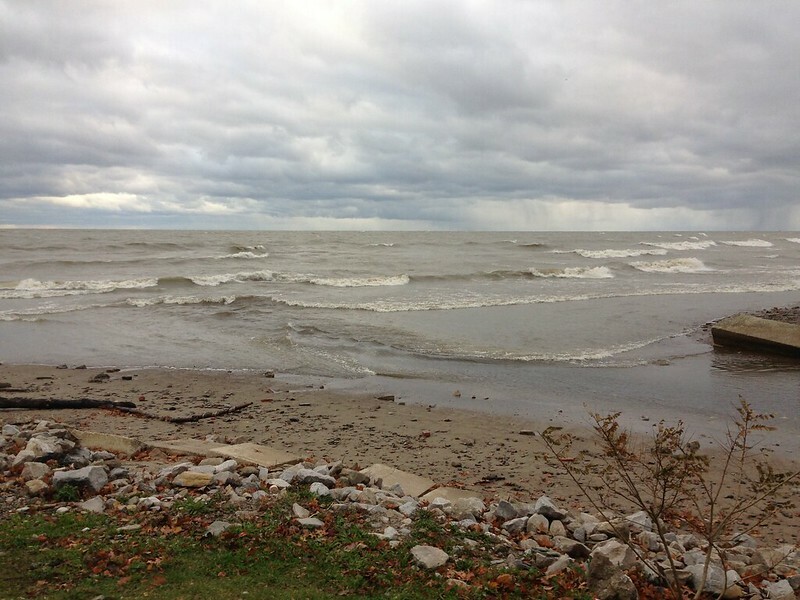 High winds meant big waves on Lake Erie, a mild but wintry day with some rain and snow. Red-breasted Mergansers streamed east and west. Winter gulls and waterfowl have arrived. Bald Eagles soared overhead. With any luck we will see cave swallows that day. Or maybe not. Would be great! 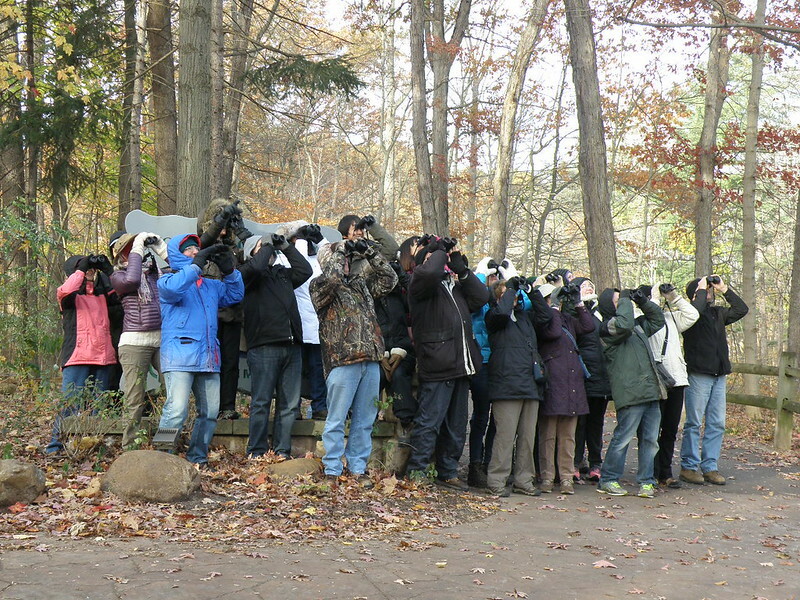 Sub-freezing temperatures did not deter 26 birders for the November Second Saturday walk. Ice had formed on the ponds. Eastern Bluebirds and Pileated Woodpeckers came in threes. Birders enjoyed American Tree Sparrows. 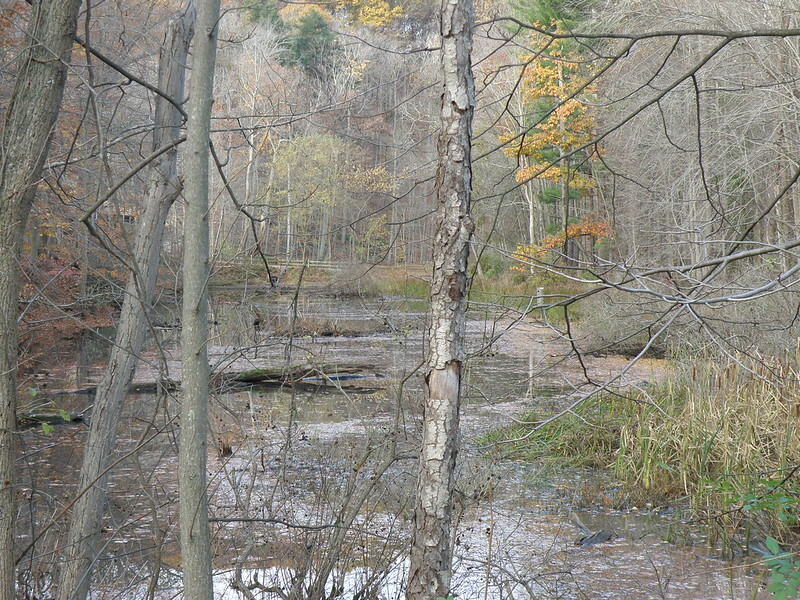 M​onthly Second Saturday walks are a great opportunity for birders of all skill levels to enjoy the woods and wetlands around the Cleveland Metroparks Rocky River Nature Center. Photo: Rustic shade-grown coffee, the old fashioned way by Bill Wilson. We're building a network of shade-grown coffee lovers to lower the cost of quality bird friendly coffee (not available in stores!) -- and to benefit birds and growers.